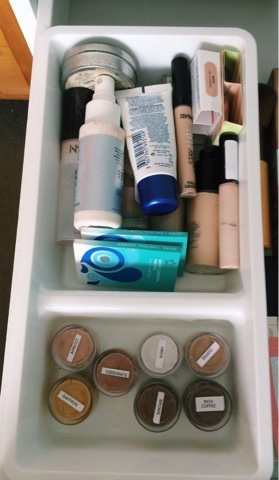 Hey everyone so today I'm going to show you my makeup storage, it's not much but a few of you have been asking for it! 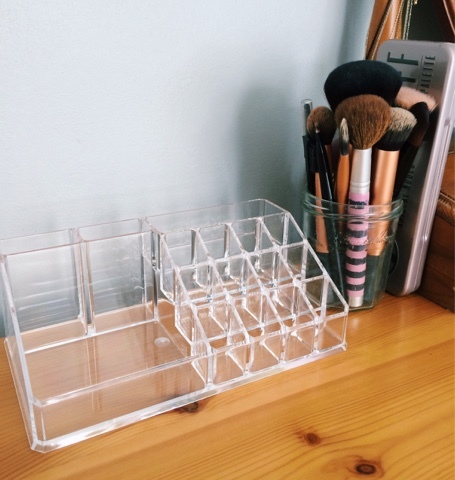 First, I store my everyday makeup in a display case sort of thing on my dressing table - it's off Amazon and it's really affordable, you can get it here! 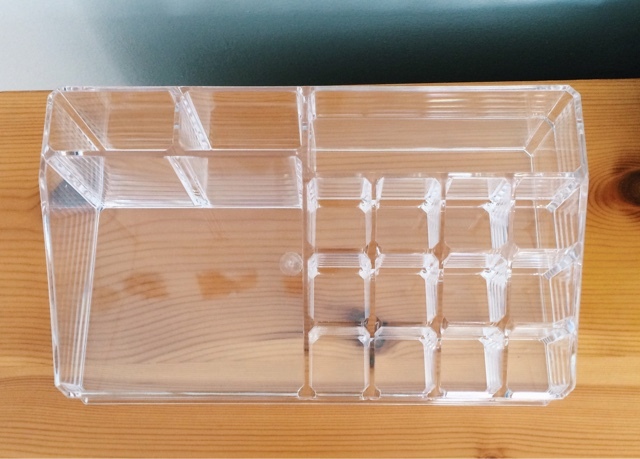 This was my favourite ever purchase and compared to others I found its so adorable! 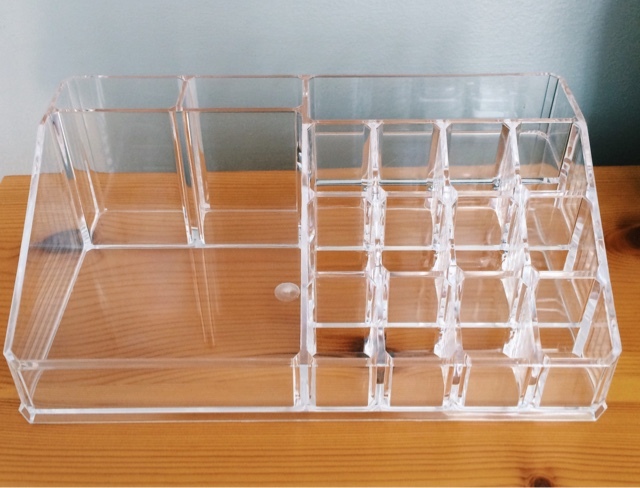 It holds loads and looks gorgeous! 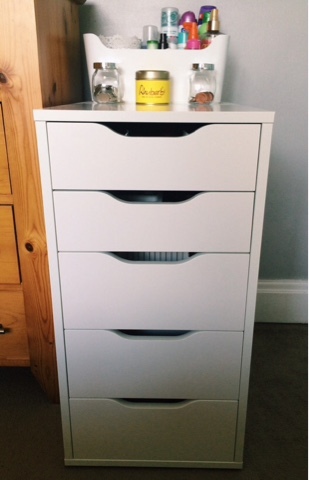 I then, have the 5 Alex Drawers from Ikea which so many people have and I can understand why! 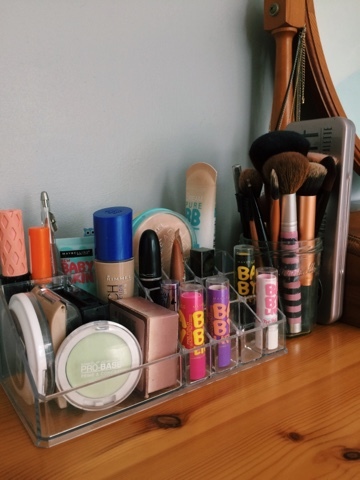 I know these aren't cheap, especially the 9 drawers but they're such good quality and look really nice! 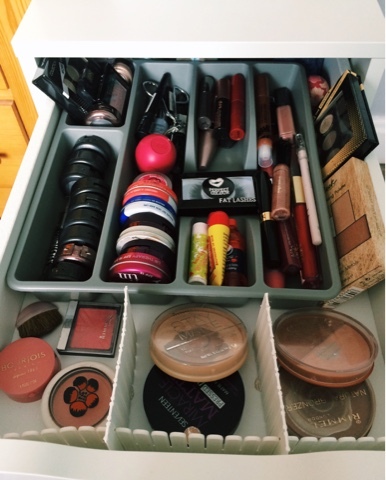 I don't have much makeup and so far have only got some in the top two drawers. 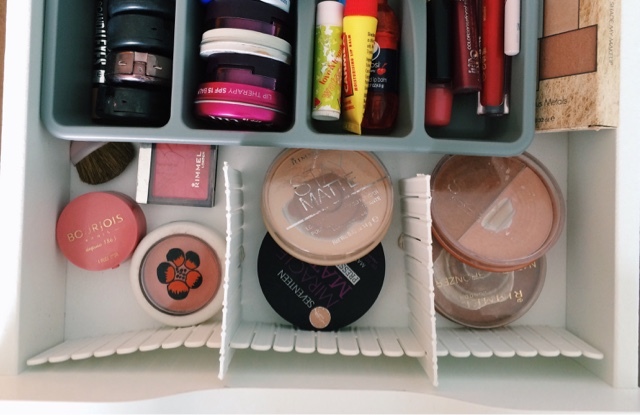 Here's the top drawer, it has all my eye, lip and powder products. 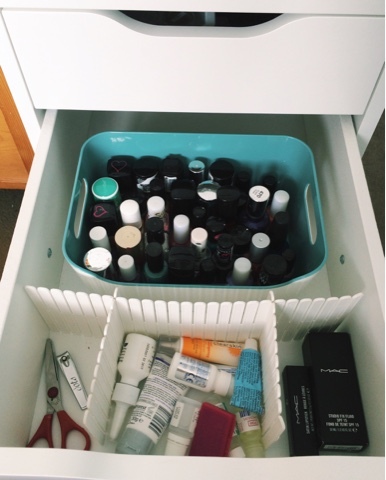 In the last two drawers I just have loads of bath and body products I don't use and they're really messy but I'm hoping one day that all five drawers will be full with makeup! 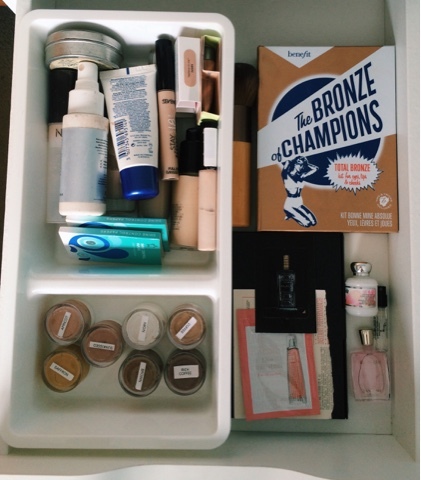 If you see a product that you would like a review on or to know more about then just comment below or tweet me!